The Elton John album represented the artist’s breakthrough into the big time when it was released in 1970. It was his first LP to reach the British chart, and perhaps more importantly, his first to be released in the US, where it scored heavily in the Billboard album chart. 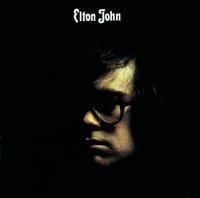 The album (plus several other tracks, including "Bad Side Of The Moon," "Rock And Roll Madonna," "Grey Seal" and "Into The Old Man’s Shoes") was recorded in January 1970 at Trident Studios in London and marked the first collaboration between Elton and producer Gus Dudgeon.